"...When a carriage accident in 1861 left her an invalid, she devoted the rest of her life to helping others, conducting her affairs in bed. Casseday was instrumental in the 1878 creation of the Jennie Casseday Flower Mission, which distributed flowers and texts of scripture to the destitute and sick. 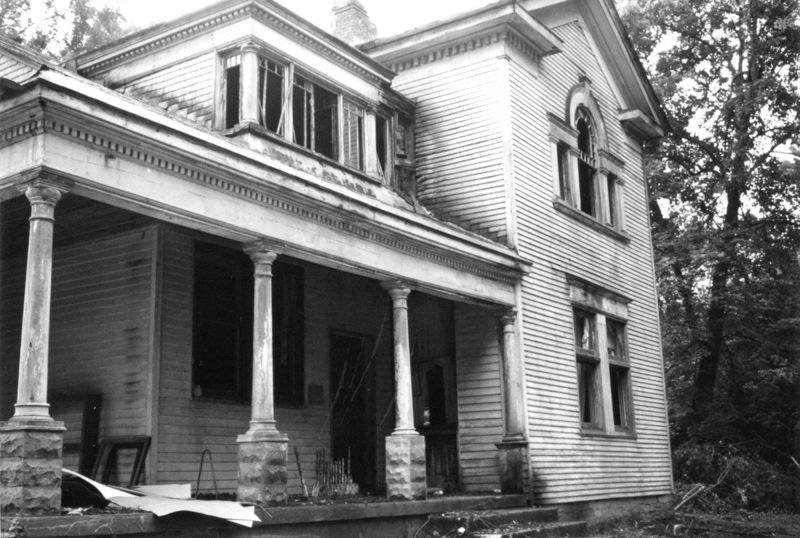 Mission work also included distribution of clothing, fruits, fuel, and attending the sick, among other acts of charity....Four years after its inception, the mission became a department of the Women's Christian Temperance Union, and Casseday became its national superintendent....Casseday also helped organize the Louisville Order of the King's Daughters, which served the sick and the poor, and the Lying-In Hospital for Women of Small Means, which opened on Sixth Street in 1882...In 1890, she started the Jennie Casseday Rest Cottage for Working Women in Pewee Valley...."
"One day when Jennie was just grown and had the world before her, she had some dresses made for a watering-place summering, and she went to a dress making establishment where they make dresses like dreams. By some mistake, she was taken to the work room, on the top floor, instead of the daintily furnished fitting rooms of Madame's apartments. 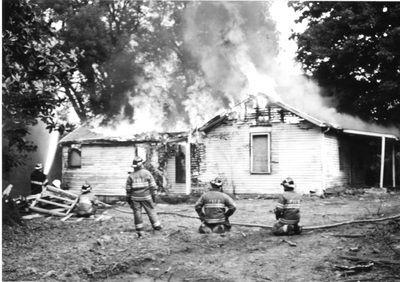 The work room was a hot, square room right under a tin roof, with blindless windows all a-row to the midday sun. Here human toilers sat and span to make creations for rich young women. That was long before the days of women clerks, office girls, women in business. Flushed, tired faces looked up at Jennie as she was unfortunately ushered into their midst. In two corners were coal stoves which heated irons and the June atmosphere with equal indifference. The whole scene was a revelation to Jennie Casseday." 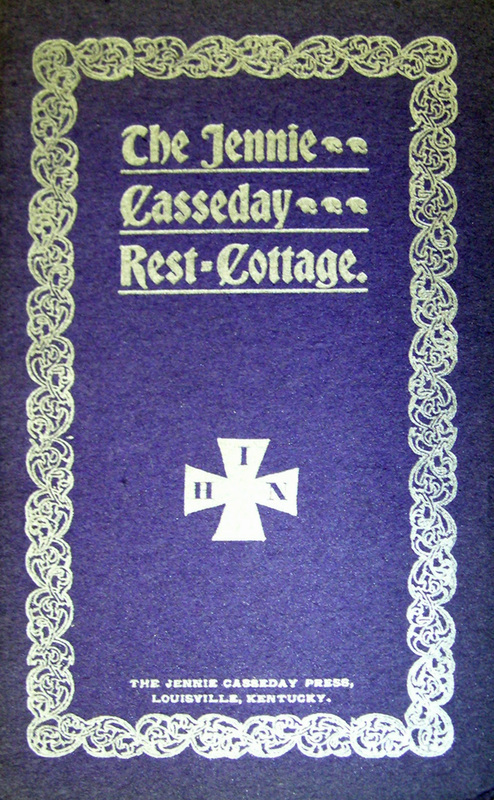 The Jennie Casseday Rest Cottage was held at Beechmore for the first time in 1896 and the property became the organization's permanent home in 1897. This program from their formal dedication ceremony is from The Filson Historical Society, Louisville, Ky. 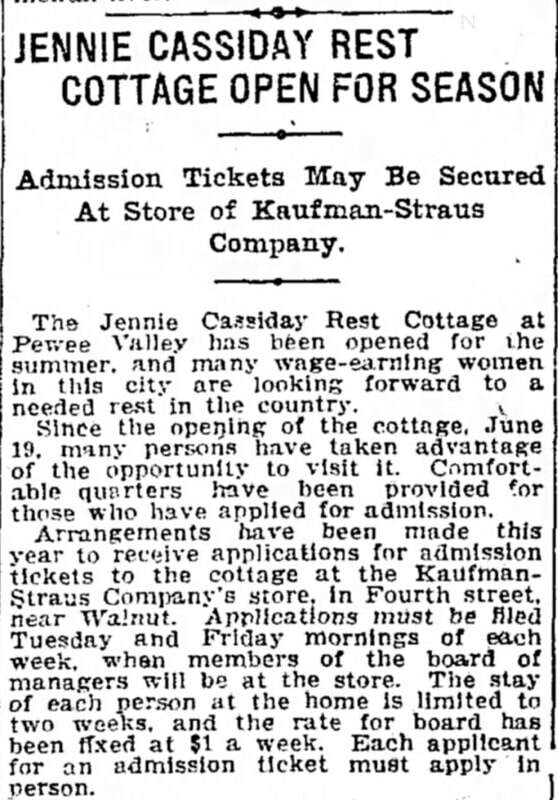 It was many years after her chance encounter with the abysmal conditions in the garment industry before Jennie Casseday was able to bring her idea – an inexpensive place for working girls to take a summer vacation -- to fruition. Documents residing at the Filson Historical Society in Louisville, Ky. show that during the Rest Cottage's first seven years of operation, the land and buildings were rented. 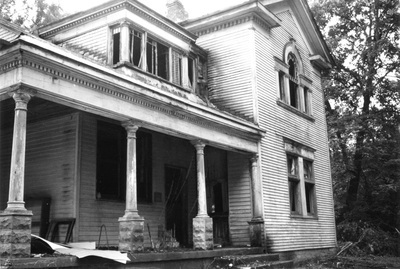 Camden in Oldham County (a train stop in what is now Crestwood, Ky.) was the site for the Rest Cottage’s first summer. In 1895, it was held in Pewee Valley at “Mr. Kaye’s near Houston/Huston” and in 1896 at “Beechmoor.” The Rest Cottage’s Board of Managers bought the “Beechmoor” property outright and held a formal dedication service on Wednesday, June 9, 1897 on the anniversary of Jennie’s birthday. It was moved by Mrs. Kramer that the Board of Managers of the Jennie Casseday Rest Cottage ratify the action of the President, Mrs. Duncan, in signing an agreement to take the country place known as “Beechmoor” and situated near Pewee and to pay for the same $5000 of which the owners agree to contribute $200 and that we ratify the action not only by vote but by our own individual signatures. While she was there, she may have received a visit from Alice and Nathaniel Warfield. 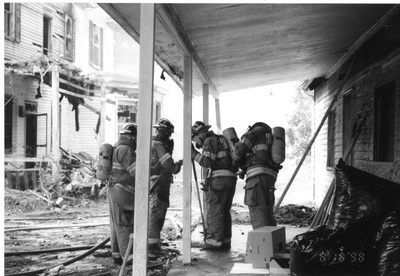 Their home was situated partway down Rest Cottage Lane. 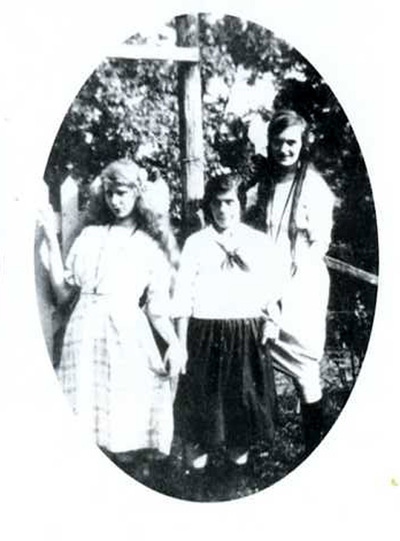 Her late brother, Benjamin Casseday, had been married to Alice's sister, Corinna Estill. 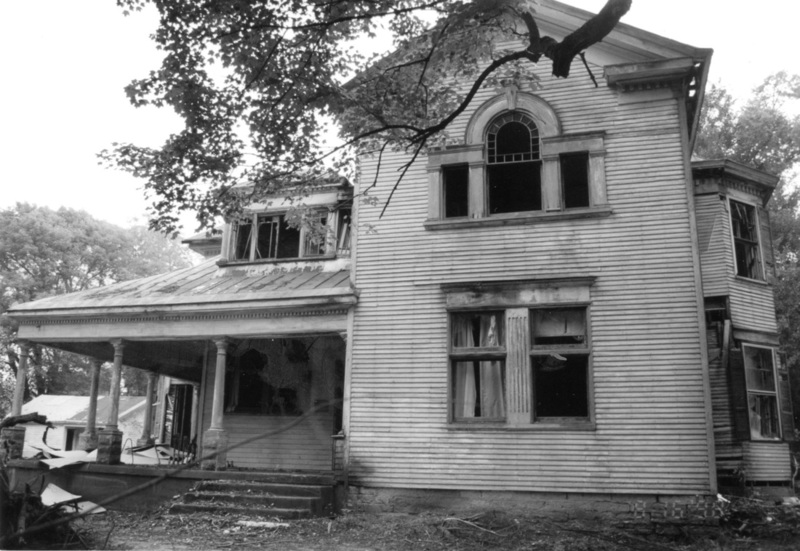 They lived for a time at the home of Alice's parents, Owl's Nest, in Pewee Valley. Both, however, had been dead for many years. ​Named for Frances Willard's home in Evanston, Ind., the Rest Cottage was described in promotional brochures as a "vacation home for wage-earning women, to which they can go in the summer idle time and spend two weeks in absolute rest near to nature's heart." 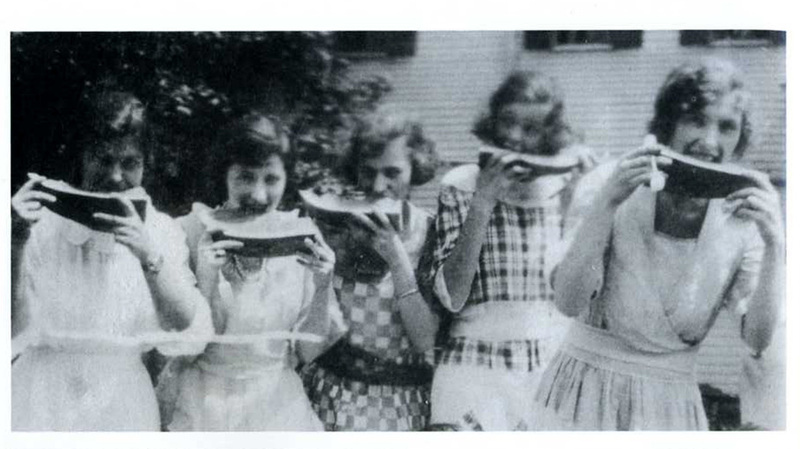 The vacationers included "young women from the telephone and telegraph offices, from the stenographer's desk and storehouse and school-room; and many were toiling beyond their strength and were weary and exhausted." A sample page from their register tallied 15 teachers; six bookkeepers; 19 dress-seamstresses; 21 tailoresses; 10 stenographers; 13 store clerks; six "old women much laid by," three milliners, three finishers, one music teacher, three cash girls, one hair-dresser, one copyist, four weavers, one book agent, one artist, three operators, one janitor in a public school, two apprentices, one linen woman in a hotel and five housekeepers. 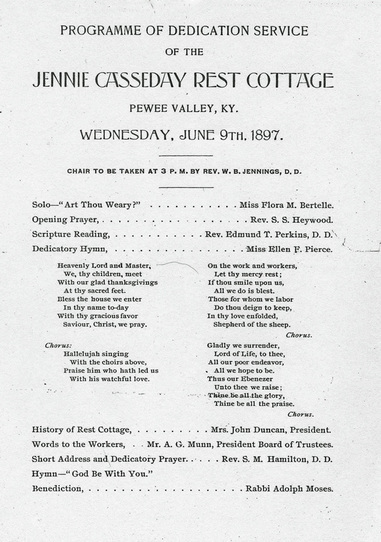 Activities at the Rest Cottage included "jingle parties and whistle games, black-bird pies and cob-web parties, straw rides and cake walks, pic-nics and donkey parties, charades and lantern strolls, serenades in the moonlight, and watermelon feasts, tableaux on the lawn, lighting with flashlights." In addition, "the ministers of various churches were invited out to tea every other week...the girls took delight in adorning the tables with lovely flowers, arranging boutonnieres for all the plates, and afterwards serving fried chicken, coffee with Jersey cream, hot buttermilk biscuits and other toothsome viands prepared by our good cook. After tea all gathered on the lawn under the old pine trees and held an open air service." 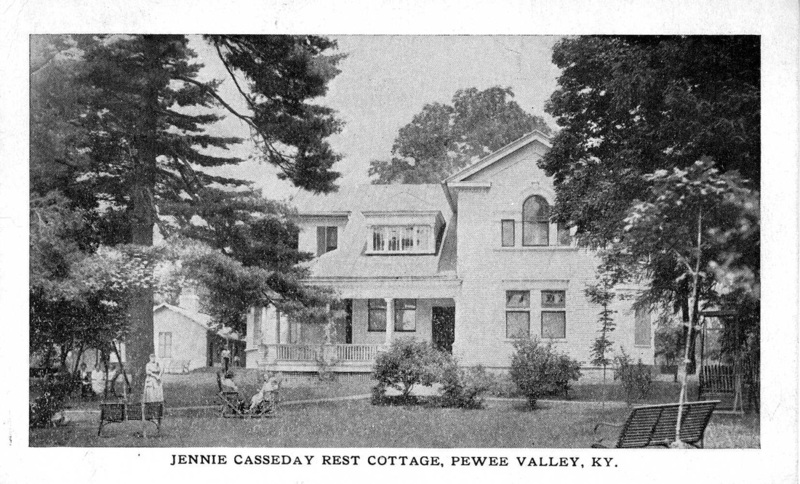 Purchase of the Jennie Casseday Rest Cottage at Houston Station, near Pewee Valley, by Miss Mary A. Crain, who operates a nursing home at 1027 Cherokee Road, was announced yesterday. Miss Crain says she plans to open the cottage next spring and will operate it in addition to the home on Cherokee Road. 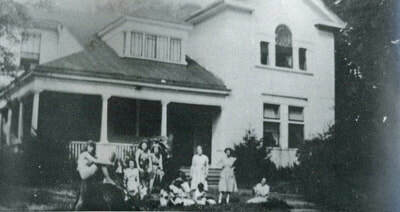 The Casseday cottage was previously a home for working girls, but Miss Crain plans to use it as a rest home for elderly persons. It has a 40 bed capacity and the grounds include 45 acres, to be used for recreational purposes. ​Purchase was made last week from the board who operated the cottage. She named her new Pewee Valley location the Mary A. Crain Private Hospital. Nursing seems to have been a calling for the Crain family, and Mary Crain was well-respected in her field. The Horse Cave, Ky. native earned her nursing certificate at the Norton Infirmary before getting into the nursing home business. One of her sisters, Mrs. Bessie Gill, at one time owned and operated the Barrett Avenue Nursing Home in Louisville. Another sister, Carrie Thomas Calvert, worked with Mary for many years as an administrator at the private hospital in Pewee Valley. In 1952, Mary was elected vice president of the newly-formed Kentucky Association of Nursing Homes, when a group of 20 nursing home operators from across the state met on May 26 at the Henry Clay Hotel in Louisville. Two youths marched into a 60-year-old Pewee Valley woman's home and robbed her of $5,200 at gunpoint last night. They also took three guns, pistol whipped her and kicked her under the bed before fleeing. The robbers, each about 20 years old, forced her to open a safe containing $5,000 in personal savings, then took $200 from her purse ... They left untouched a mink stole and a valuable camera in plain view. They fled only fifteen minutes after they had suddenly walked through the door of Miss Crain's private cottage adjoining the hospital. 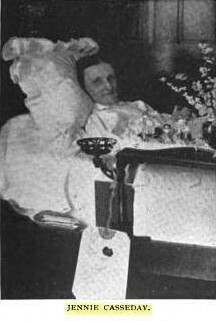 Miss Crain was admitted to Norton Infirmary with a head injury and suffering from shock. Her condition was reported as good. She told Jefferson County Police Sgt. Isaac Stewart that she was in bed about 7:20 p.m. when she heard a knock on the door. Without awaiting an answer, the two walked in the unlocked door, brandished pistols, and demanded, "All right, where is the safe?" ... They forced her to get out of bed and open a small floor space in a closet, telling her, "We want the money." They scooped up the money, then grabbed two revolvers and an automatic pistol kept in the safe ... The robbers then slugged her across the back of the head with one of the pistols, kicked her under the bed and told her to stay here until after they left. ​On July 28, one of the robbers was arrested in Louisville: 31-year-old Ted Wiley Swanner, after Mary Crain identified him in a police lineup. The career criminal was living on S. Brook Street in Louisville at the time and had a police record dating back to 1942 for a string of burglaries, two of which had already landed him in prison. How long Mary Crain operated her private hospital is unknown. 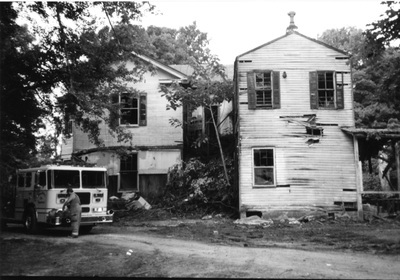 On August 3, 1963, the year after the robbery, she ran a classified ad in the Courier-Journal to sell some of the rest home's furnishings; however she continued to live on the property even after the nursing home ceased operations. Mary A. Crain, 89, of Pewee Valley, died Thursday at Baptist Hospital East. 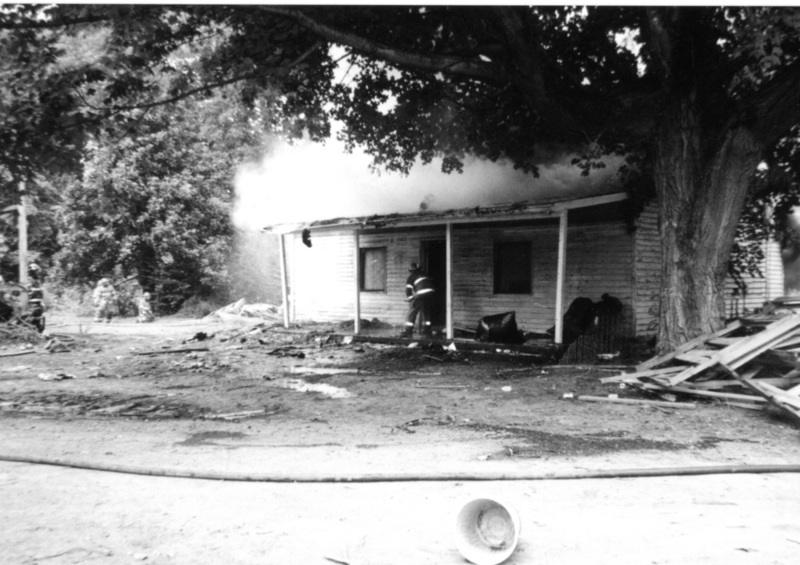 She was a native of Horse Cave, a retired registered nurse, former owner and operator of the old Mary A Crain Private Hospital in Pewee Valley and a member of Filson Club and Kentucky Historical Society. 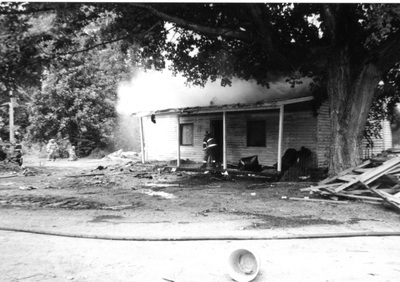 Survivors: two sister, Rin French, of New Albany, Ind., and Dora Seymour. ​I, Mary A. Crain, of Oldham County, Kentucky, being of sound mind ad disposing memory, do hereby make, ordain, publish and declare this to be My Last Will and Testament, hereby revoking any and all other wills and codicils heretofore made by me. I desire all my just debts, together with my funeral expenses be paid, and if I have not provided a burial dot prior to my death, I desire that a lot shall be procured in Cave Hill Cemetery, Louisville, Kentucky, and that a suitable monument be erected at my grave. I desire that my remains be created and my ashes placed on said lot. I also give the Trustees of Cave Hill Cemetery such a sum as my be necessary for the perpetual care of my lot. I desire that my Executor, hereinafter named, shall pay all federal estate and state inheritances taxes assessed against my estate. To my sister, Carrie Calvert, I give and bequeath the furnishings of my bedroom in the house now occupied by me as a private residence on the property on which I am at the present time conducting a private hospital in Oldham County, Kentucky, known as 123 Rest Cottage Lane, with the exception of the antique rocking chair referred to in Item IV of this My Last Will and Testament. To the Filson Club of Louisville, Kentucky, I give and bequeath the small antique rocking chair now located in my bedroom. This chair was given to me by my friend, Catherine Whipple Dobbs, with a request that I devise it to the Filson Club. I am the owner of a farm located on U.S. Highway 31E in Hart County, Kentucky, between Hardville and Uno, Kentucky. This farm consists of approximately thirty (30) acres and has been owned by members of our family over a period of many years. It is my desire that title to this farm shall remain in our family for many years to come, and with this thought in mind, I bequeath said farm to my niece, Mary Lewis Chapman, of Louisville, Kentucky, for and during her natural life and after her death, in fee simple, to her surviving heirs, share and share alike. During the life of my said niece she shall pay the taxes, insurance and upkeep thereon. 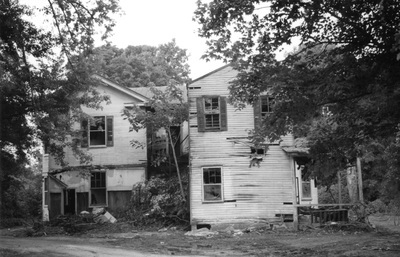 I am the owner of approximately ninety-six acres of land in Oldham County, Kentucky, approximately one-half mile north of the LaGrange Road, known as 123 Rest Cottage Lane, where I conduct a private hospital and home for the aged. A. Norton Memorial Infirmary is to use said property as a nursing home, home for the aged, convalescent home, home for nurses or for some purpose associated with the conduct of the Norton Memorial Infirmary. B. Should my hospital aforementioned be destroyed by fire or other casualty, or should said property be condemned by public authority, or should it become uninhabitable for any reason, then and in that event, the Board of Trustees of Norton Memorial Infirmary is given the express authority to sell said property but the proceeds arising therefrom shall be invested in other real estate for the usage and purposes set forth in Paragraph A of this item. C. There is a cottage on said premises now occupied by a very efficient employee of mine, who is a deaf mute, by the name of Gertie Reynolds. It is my desire that as long as she lives that she be permitted to occupy said cottage, free of charge, and without the payment of any rental therefor, and that in addition that she have the use of the furniture, furnishings and all household effects contained therein. D. Should said home above referred to be destroyed by fire or for any reason become uninhabitable, then and in that event the Norton Memorial Infirmary is to permit Gertie Reynolds to live in the hospital located on said premises, free of charge, for and during her natural life. After the death of said Gertie Reynolds, I give to the said Norton Infirmary all of the furnishings, furniture, fixtures, glassware, chinaware and silverware contained in said house now occupied by her. 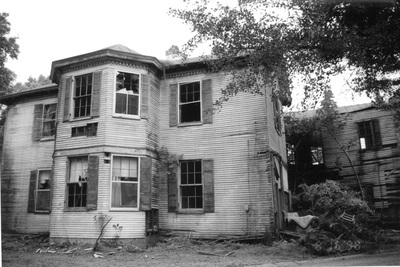 I am the owner of a duplex located at 136 Claremont Avenue, Louisville, Kentucky, now occupied by my sister, Rin French. I bequeath said property to my sister for and during her natural life, or for such period of time as she may remain unmarried. She is to pay the taxes, insurance and upkeep thereon. Should she remarry, or upon her death, her sons, Edward Thomas French and Walter Lewis French, shall have the option of purchasing said property for the sum of Twelve Thousand Dollars ($12,000) or should they fail so to do within a period of twenty-four months after their mother's death or remarriage, said property shall then be sold and the proceeds shall revert to and become a part of my residuary estate. My nephew, William Francis Calvert, son of my sister, Carrie Calvert, is now a student at Anderson School, Statsburg, New York, and I have provided the funds necessary for his education. It is my desire that my said nephew shall continue his education in said school and in some university or college to be selected by him and in order to effectuate this purpose, I hereby authorize, direct and empower my Executor and/or Trustee hereinafter named to set aside a sufficient sum to pay for his preparatory and college education and necessary maintenance and support during said period of time, not to exceed the sum of Four Thousand Dollars ($4,000.00) in any one year. Should my said nephew die or refuse to further attend school as above outlines, then and in that event my Executor and/or Trustee shall immediately cease said payments. However, if during the interim my said nephew should be called into the military services of the United States, the payments shall cease but shall be renewed upon his release therefrom and his re-entrance into school. My reference to a college education is to be confined to a four-year period. To my beloved sisters, Rin French, Houston Seymour and Carrie Calvert, I give and bequeath the sum of Five Hundred Dollars ($500.00) each. I am the owner, as of the present date, of a plot of ground of approximately ten (10) acres in Oldham County, Kentucky, on Jericho Pike, which I purchased from E.F. Oldham and wife during the year 1954. Should there be insufficient personality at the time of my death to pay the bequests hereinabove mentioned, together with the federal estate and state inheritance taxes, indebtedness and the cost of administration, the property referred to in the foregoing paragraph shall be sold for this purpose However, if it shall be unnecessary to do so, then and in that event I give the property referred to in this Item, in fee simple and absolutely, to Kosair Crippled Children's Hospital and Children's Hospital, both of Louisville, Kentucky, in equal shares. If it should be necessary to sell the property aforementioned, any balance remaining in the hands of my Executor and/or Trustee shall be equally divided between the Kosair Crippled Children's Hospital and Children's Hospital aforementioned, in equal shares. All of the rest and residue of my estate, of every nature, character and description, and wheresoever the same may be situated, I give and bequeath, in equal shares, to Kosair Crippled Children's Hospital and Children's Hospital aforementioned. I have been generous with various members of my family during my life, and while all of them are dear to me, it is my desire that the charitable institutions hereinabove names should largely become the beneficiaries of my estate. I have worked steadily over a period of many years and have accumulated my estate through continuous effort and hard work, and I feel I have a right to dispose of same in accordance with my wishes as hereinabove set forth. 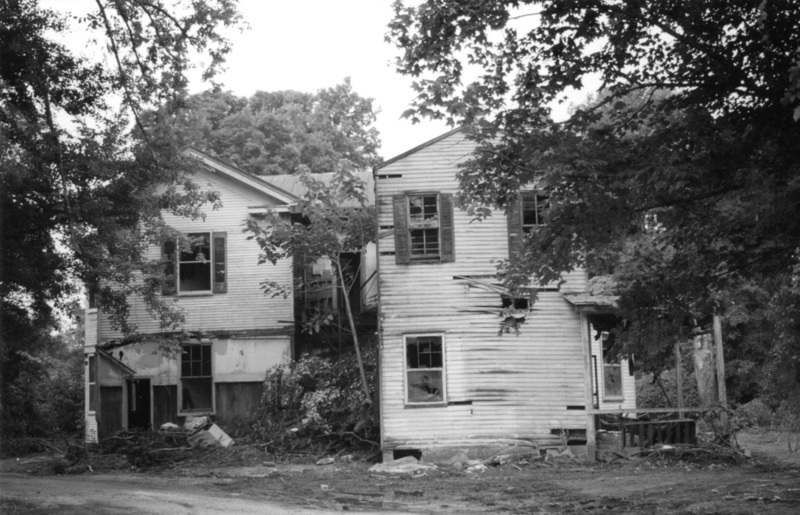 ..
​By the time Mary Crain died 30 years later, only two real estate parcels were left in her estate: one valued at $5,000 and the second, the Pewee Valley property on Rest Cottage Lane, valued at about $725,000, according to submissions to the probate court. "We have all lived here a long time, and we are all raising our families here." ...Ferriell said. "There won't be any grand entrances, and we want it to look like it has always been there. ...He acknowledged that some...may be disappointed that the land isn't going to be used as a park. When Alliant Health Systems of Louisville originally offered the property for sale earlier this year, some Pewee Valley Council members and residents expressed hope that some of the land might be used to establish the city's first public park. ..."Our deal with Alliant is that we would negotiate with Pewee Valley and Oldham County Parks on them buying some of the land" for park use, Ferriell added, but no deal could be worked out. According to the September 1998 Call of the Pewee, the South Oldham Development Group paid $1,050,000 to Alliant Health System for the property. 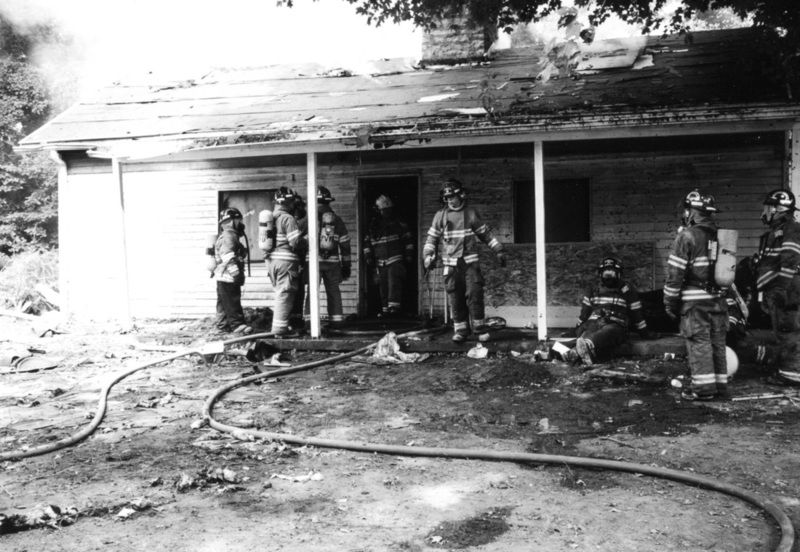 On August 16, 1998, the Pewee Valley Fire Department burned the historic house and cottages down. 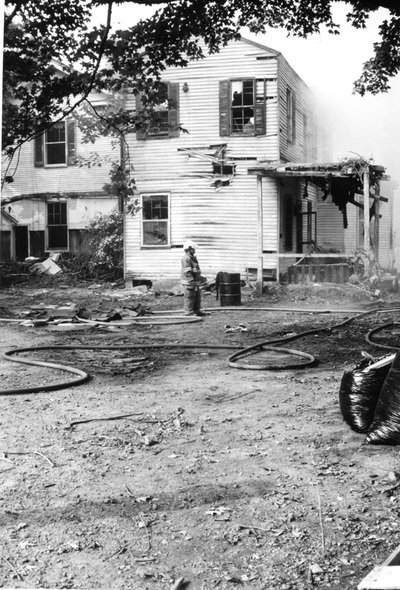 One hundred sixty years of history -- the legacy of the Southers, the Warfields, the Smiths, the Jennie Casseday Rest Cottage and the Mary A. Crain Private Hospital -- was reduced to dust within a few hours.